Dr Sharma and I will be hosting a communication skills session for final year medical students on Sunday. 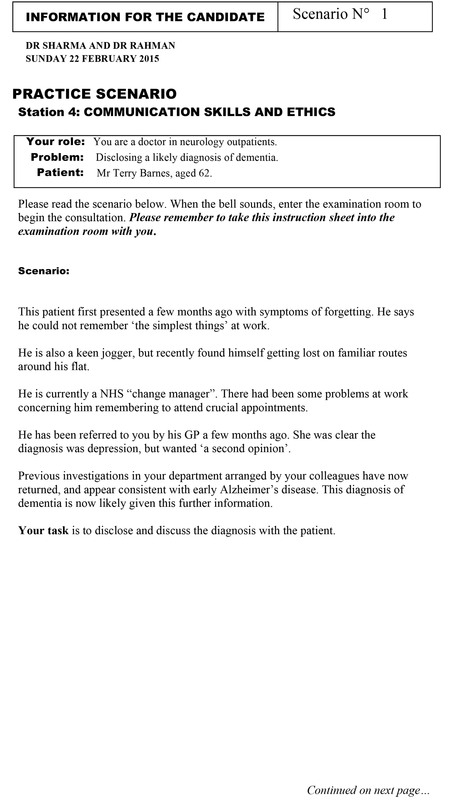 We intend to use the following mock scenario on disclosing a diagnosis of dementia. 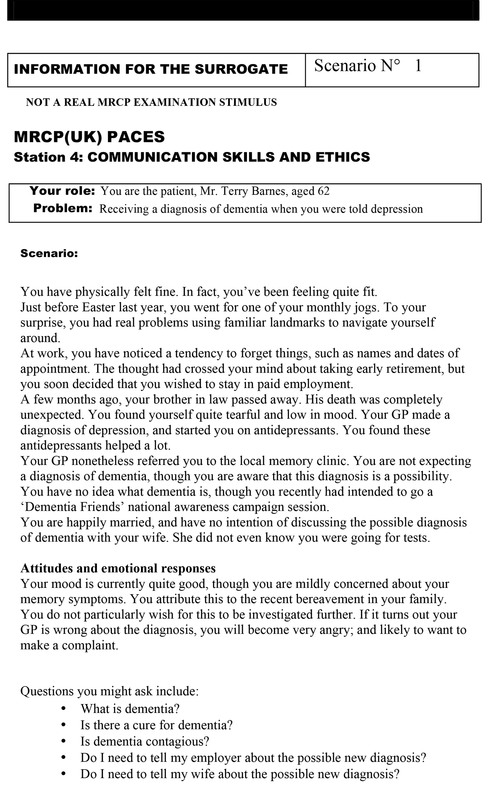 The aim of this session is to discuss how communication skills are assessed in medical examinations. 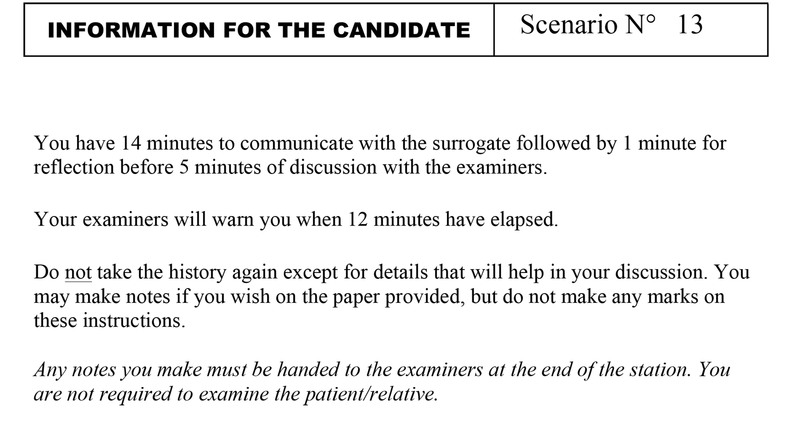 This is the actual example scenario on the MRCP(UK) website. 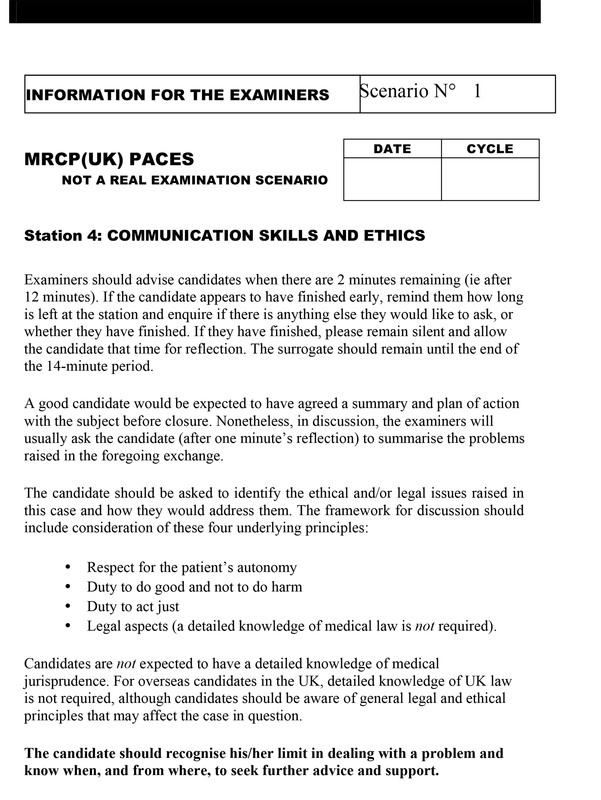 The MRCP(UK) is the examination for the Membership of the Royal Colleges of Physicians. The current marksheets are here.